The (original) entrance to Club 33, Royal Street is between 31 and 35 Royal Street, ‘hidden’ in plain sight to those who don’t know about the Club. While stories abound that there were 33 original investors of Disneyland or the 33 on it’s side looks like MM for Mickey Mouse, the club got its name from the address. Yes, it was a private dining space for Walt and executives to bring investors and a place for those investors to bring their own clients. Prior to the club opening, Walt would bring high-level visitors to the Red Wagon Inn at the end of Main Street (now called the Plaza Inn) for food and refreshments. The Club opened on June 15, 1967. The cost of membership has changed over the years. There are different membership levels, but they generally work the same way – a member can call to make reservations for themselves and their guests. However, the member does not always need to be present for their guests to enter the Club. Membership does not include the cost of the meal. Members and guests must still pay for their lunch or dinner and drinks on top of the member’s initiation fee and annual membership fee. In 2013, Lunch was approximately $100 per person and dinner was approximately $175 per person – that also included admission ticket to the park. Around 2014/15, when the organization changed, members got a limited number of admission tickets to give to their guests. 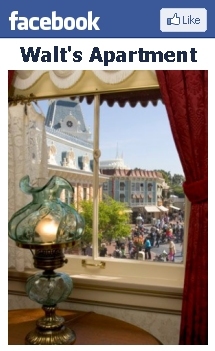 The Club 33 in Tokyo Disneyland is not a private club, but a regular dining location.